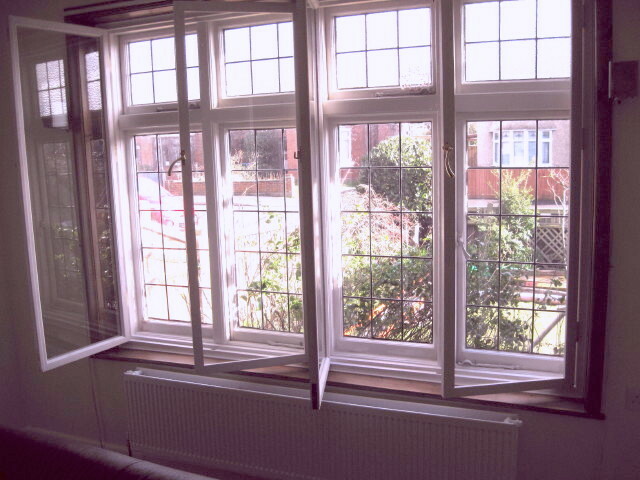 Secondary glazing manufactured and fitted to a timber bay window. 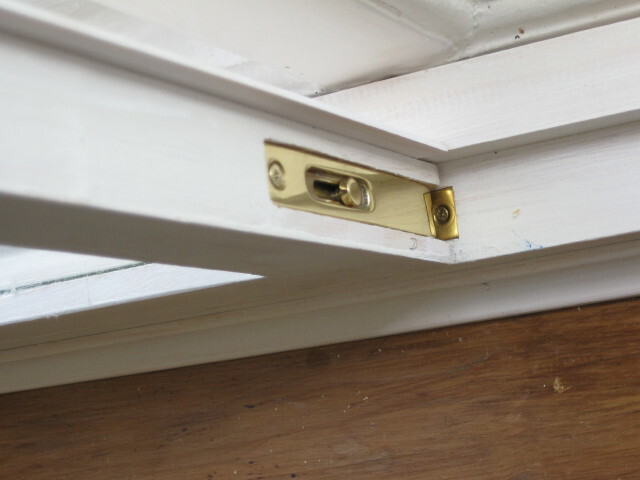 This format of secondary glazing is common in Europe. 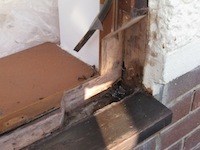 Essentially, a second window is fitted into the reveal. 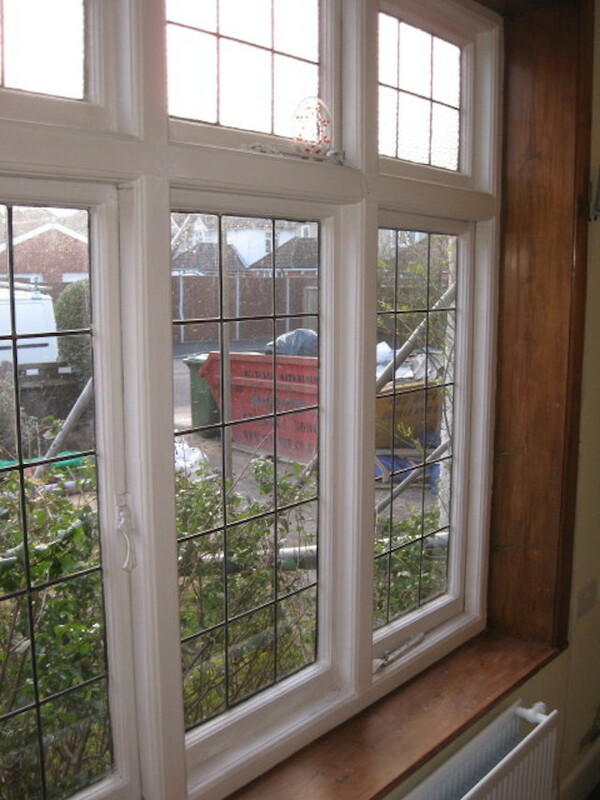 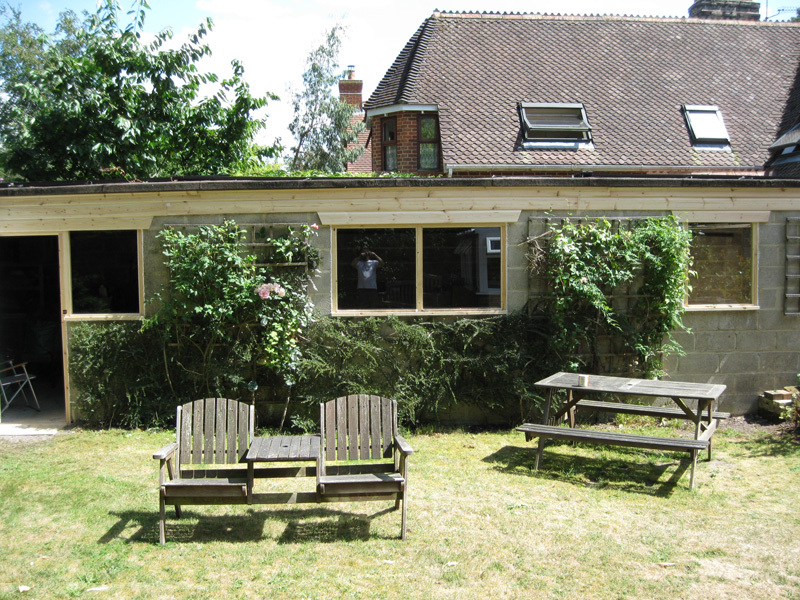 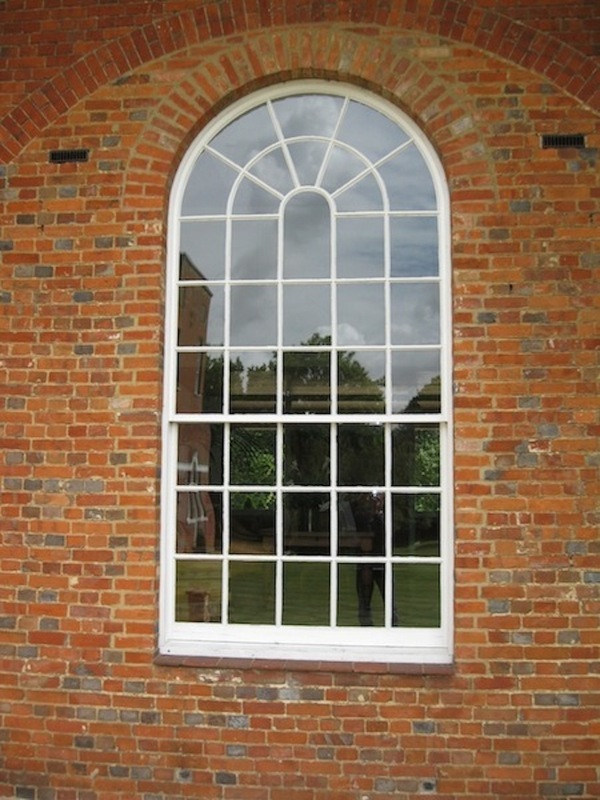 The secondary windows open inwards so the original bay window remains intact with its windows opening outwards. 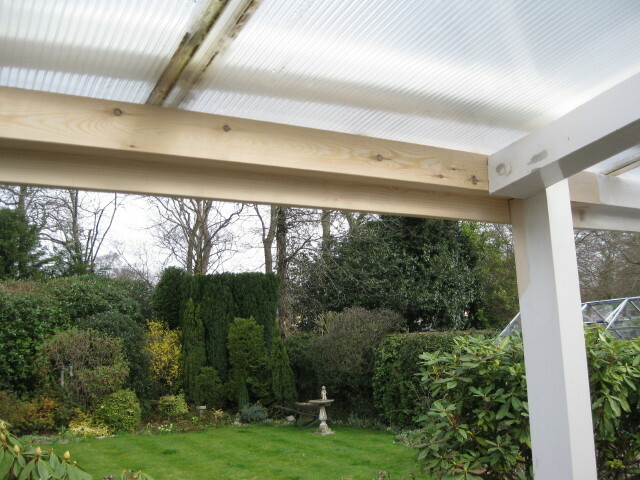 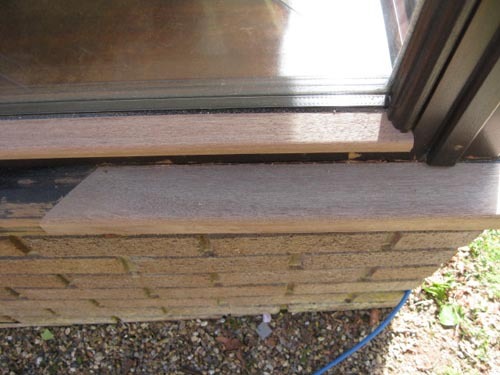 This type of secondary glazing is less conspicuous than aluminium sliding secondary glazing and it works well in keeping out draughts as well as traffic noise, which is particularly useful if you live on a main road. 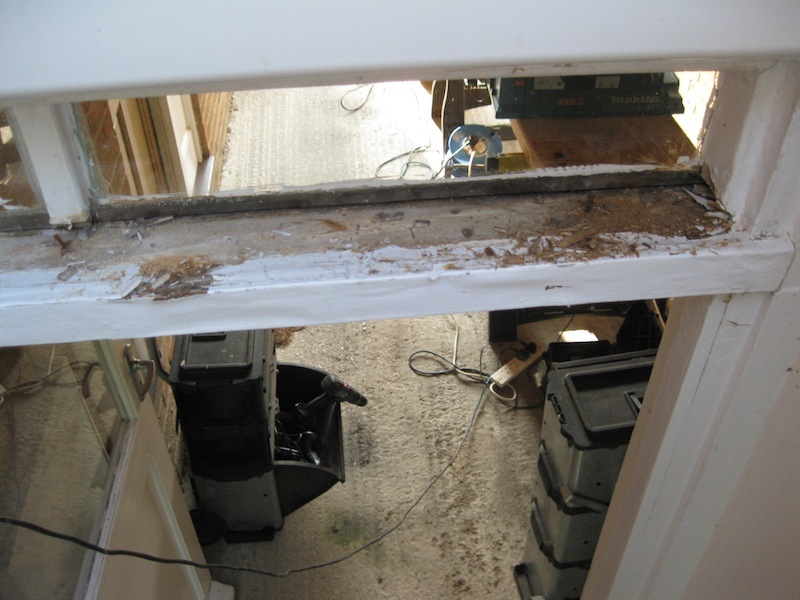 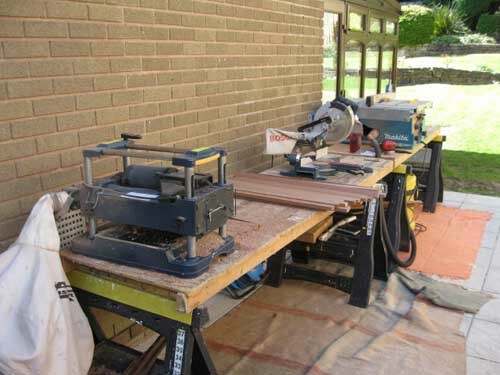 These images show the process of repairing a rotted corner in an otherwise sound hardwood window frame. 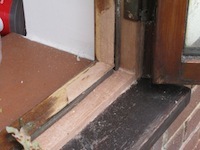 This rot occurred almost certainly due to the failure of the rubber draught seal that is fitted to this type of window. 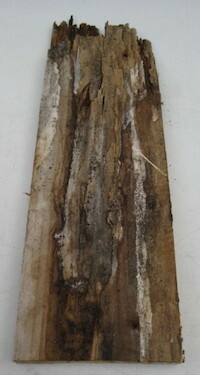 Over time, the rubbers can become compressed and tired, which weakens the seal, allowing water to ingress and resulting in the rot. 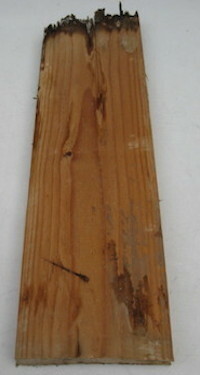 You can replace this seal relatively cheaply. 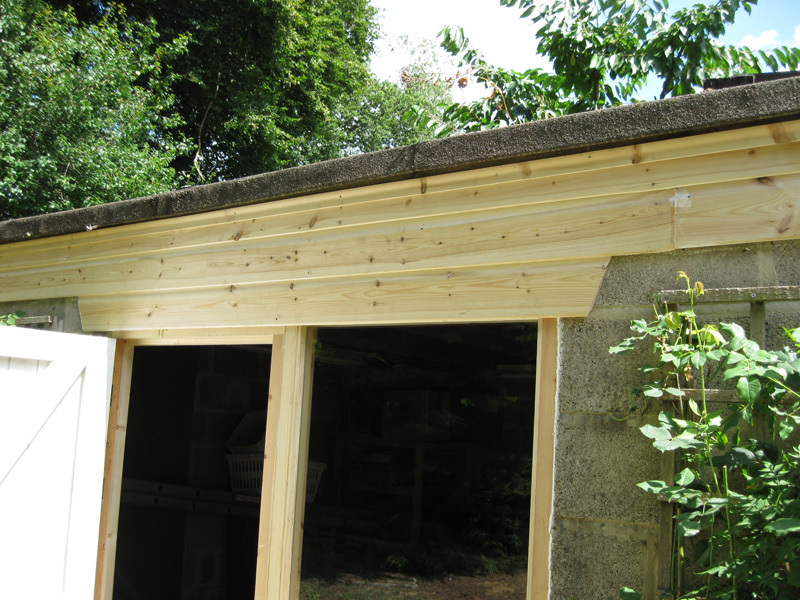 It can be purchased in rolls of 50m and you simply cut it to length, then fit it after removing the old seal. 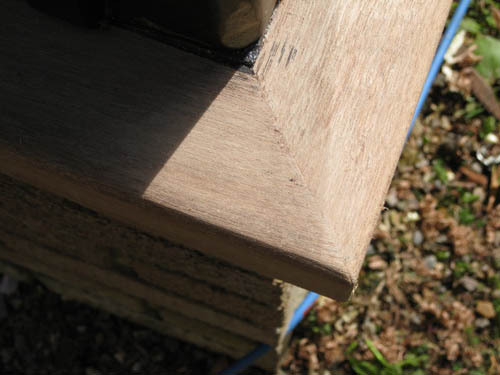 Be sure though to get the correct profile (the shape of the cross section). 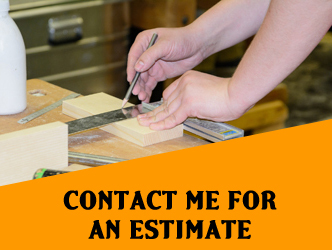 Most suppliers will send a sample on request so that you can make sure. 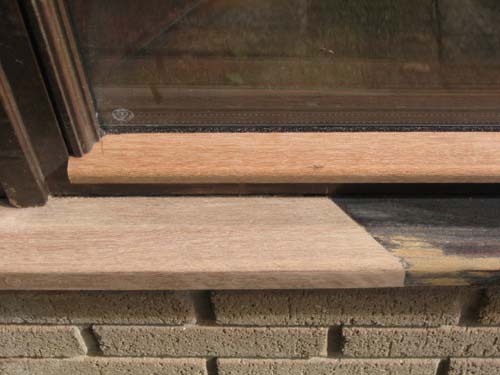 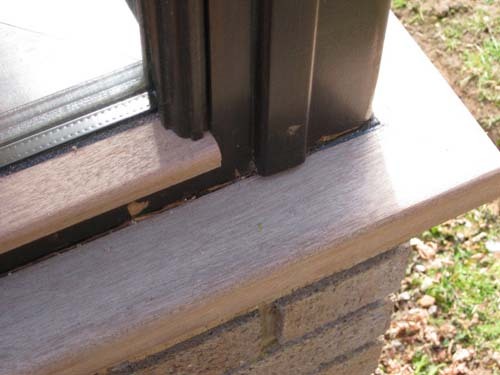 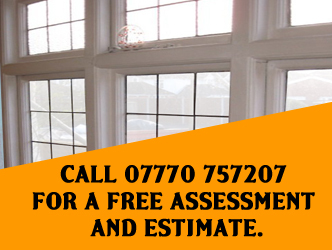 Catch this problem before it starts and you can save a lot of money and effort in having to replace or repair window frames and cills. 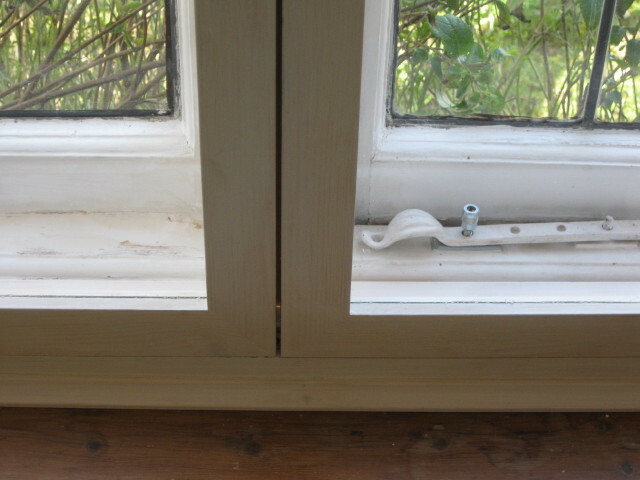 This is the refurbishment of a fan light (the glazing above a door). 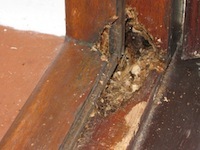 This particular fan light had rotted because of the failure of the putty, which is a common cause of rot in timber frames and widows. 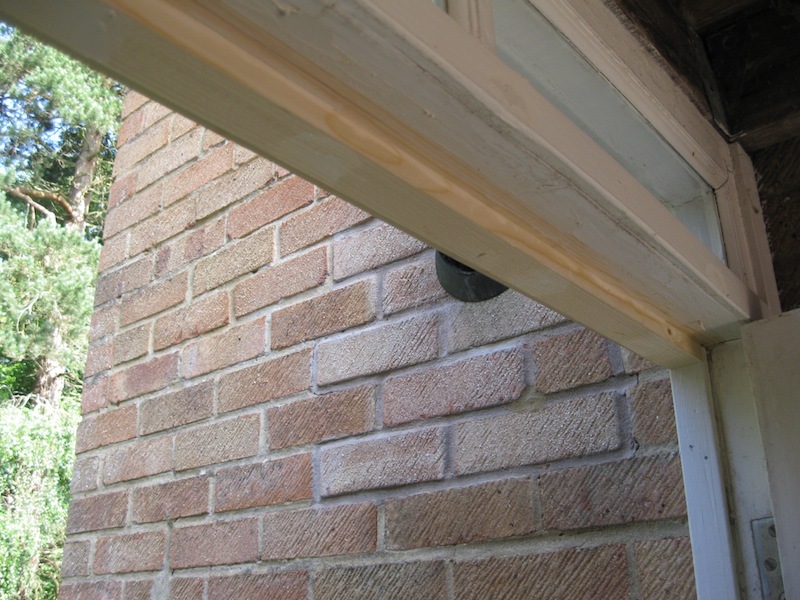 It is important to check the putty, particularly on the bottom of the glazing and on the corners. 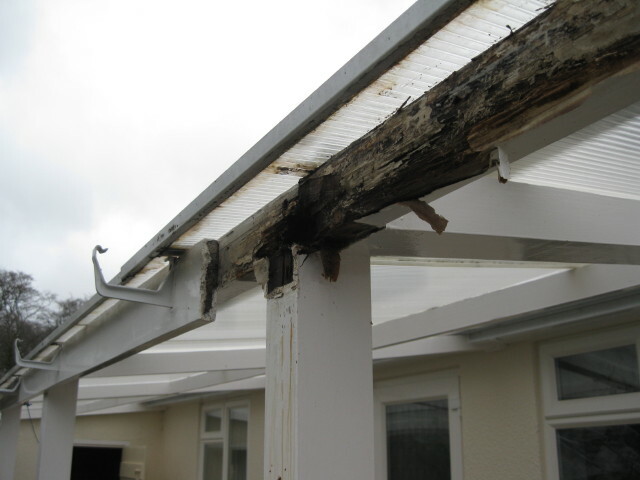 If it’s cracked then water will get behind and slowly but surely the timber will decay.